Failure to conceive following fertility evaluation leads to a significantly higher likelihood of divorce or end of cohabitation, state researchers in Denmark. Infertility is a source of stress that impacts the couple physically, psychologically, and socially (Schmidt, 2006; Verhaak et al., 2007). When fertility treatment fails to produce a pregnancy, the couple may experience decreased quality of life (Hammarberg et al., 2001; Johansson et al., 2009) and increased stress, anxiety, and depression (Verhaak et al., 2005, 2007). Couples struggling with fertility problems may also experience sexual (Wischmann, 2010) and marital distress resulting from differences in coping strategies and communication (Hielmstedt et al., 1999; Chachamovich et al., 2010; Peterson et al., 2009; Monga et al., 2004). There is little available data on the likelihood of divorce or end of cohabitation in the long term when couples fail to conceive. 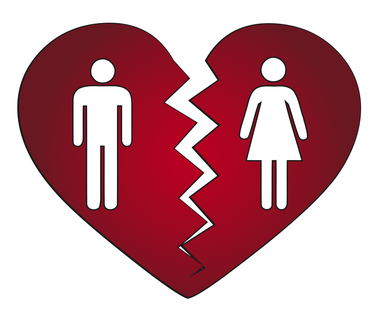 To gain further understanding of the above, Trille Kjaer and colleagues performed a study in which they investigated the likelihood of divorce or end of cohabitation for couples who fail to conceive after fertility evaluation (“Divorce or End of Cohabitation Among Danish Women Evaluated for Fertility Problems,” Acta Obstet Gynecol Scand, 2014;93:269-276). 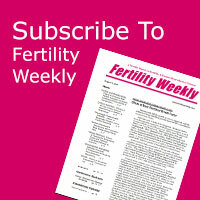 “Parity after a fertility evaluation may be an important component in the longitudinal relationships of couples with fertility problems,” wrote Kjaer et al. This longitudinal cohort study included 47,515 Danish women who had been referred for primary or secondary fertility problems between 1990 and 2006. The information was linked to Danish administrative population-based registries, which contained demographic and socioeconomic data. Discrete-time survival models were used with person-period statistics. Each woman was followed from one year after her fertility evaluation through 2007. The primary outcome measure was the effect of parity after a fertility evaluation on the likelihood of divorce or end of cohabitation. After as much as 12 years of follow up, almost 27% of the women were divorced or no longer living with the partner they were living with at the time they underwent fertility evaluation. Women who did not have a baby following fertility evaluation had a considerably higher odds ratio for ending their relationship up to 12 years following the evaluation (with odds ratios up to 3.13, 95% CI 2.88-3.41) compared to women who had a baby, in spite of their parity prior to the evaluation. “In conclusion, women evaluated for fertility problems who did not have a child after an initial evaluation had significantly higher Ors for divorce or end of cohabitation in the first 12 years after the evaluation, regardless of their parity before the evaluation,” stated Kjaer et al.